Hire an Expert Motorcycle Accident Attorney Palmdale, CA. While cruising on your two-wheeler around the city, an accident can just happen. Then you go into a period of discomfort, pains, property and psychological damage. At worst, lives may be lost. Assuming the worst didn’t happen, you as a victim have every right to make claims and receive your full compensation. It is our advice that you get an expert motorcycle accident attorney involved. 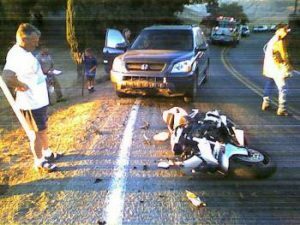 If you are in Palmdale, CA, an expert motorcycle accident attorney can be gotten at Rawa Law Group, a 5-star agency that has served citizens with top quality legal services for over 20 years. Rawa Law Group is a strict legal firm that advocates for the victims of accidents whether automobile or motorcycle. We have a combined experience of more than 55 years combined and our in-house attorneys are well trained and qualified. Our attorneys are trained to cooperate with clients on every front. Clients have very flexible appointment hours and can be met at their homes or wherever they are being treated. You also have a chance to have a personal one-on-one attention from one of our most qualified attorneys. At Rawa Law Group, we offer initiatives when you consult us – free consultation, free legal advice without any hidden charges, and free case evaluation until we deliver results on your case. Why not take advantage of these initiatives and hire an expert motorcycle accident attorney Palmdale, CA by walking into our office.